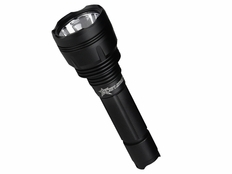 Looking for a flashlight that is more powerful than our RI-600 but still pocket-friendly? The RI-800 is the perfect choice with an impressive output of up to 820 raw lumens and a beam that projects nearly 1,000 feet (304 meters), all in a body that measures a little over six inches long. The RI-800 is well suited to a variety of uses thanks to its size and four modes of operation (High, Medium, Low, and Strobe) controlled by an On/Off switch with a momentary function in the tail end cap. It features the same type III military hard anodized aluminum housing construction as the rest of the RI-Series line, along with a thermally regulated circuit board and tactical bezel. The cool white LED is perfect for general use or any situation that requires a lot of clear, bright light. The RI-800 includes a lanyard, anti-roll nut, pocket clip, rechargeable lithium ion battery, and both a 110-volt wall charger and an AC/DC charger for your vehicle. 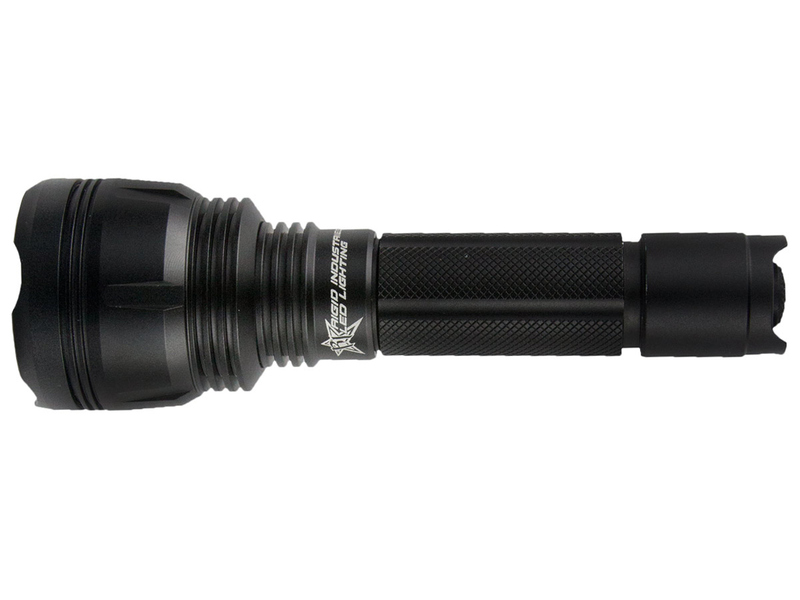 Compact and feature-packed, the RI-800 is one of the most versatile flashlights available today. The part number for this item is Rigid Industries 30140.